From spooky tales of reanimated corpses to lavish museum exhibits, ancient mummies capture the imagination. 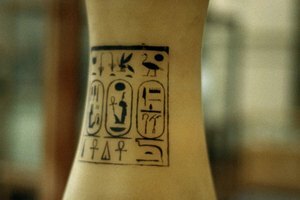 Mummification, which was a process used to preserve the dead, was very important to ancient Egyptians. 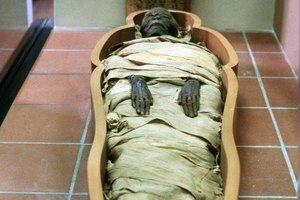 Since they believed that elements of a person's soul gradually diminished following death, mummification was an attempt to prevent that from happening. The Egyptians used many specialized tools to aid this burial process. To mummify a corpse, the ancient Egyptians first washed the body in water mixed with palm wine. Then, they used a specialized hook to remove the brain and filled the skull with balsam sap and pistacia tree resin. They also removed other organs and stored these in canopic jars. Then, the ancient Egyptians used natron to desiccate the corpse, covered it in herbs and oils and wrapped it with linen coated with resin. The process of mummification required the ancient Egyptians to remove parts of the body then dry out the body before washing it thoroughly. This removed bacteria and prevented the body from decaying. To do this, they first washed the intact body with water drawn from the Nile mixed with palm wine, which helped prevent the body from decaying. The next step of removing the organs was a very elaborate process. To remove the brain, the ancient Egyptians inserted a specialized hook into the nostril to puncture the brain and allow the brain fluid to drain from the skull. They then used the hook to pull the brain from the cavity. To prevent the skull from collapsing, they poured balsam sap and pistacia tree resin into the space the brain once occupied. Next, they removed other important organs such as the heart, liver, lungs, intestines and stomach from the body. They stored these organs in special containers made from limestone or pottery called canopic jars. 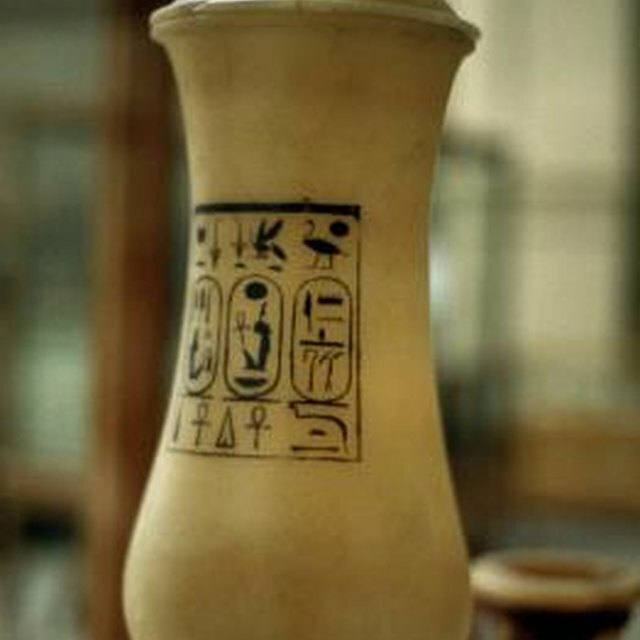 At the time of entombment, these canopic jars remained with the body. 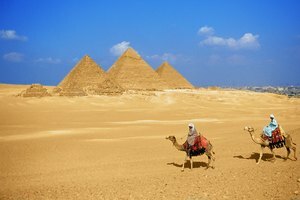 To strengthen the body and maintain its original form, the ancient Egyptians filled the cavities that once contained organs with small bags of natron and also covered the corpse with natron. Natron contains sodium carbonate and bicarbonate, which prevented decay, soaked up moisture and aided in desiccating the corpse. After desiccation, they removed the bags, washed the body and covered the corpse in a blend of oil, herbs, spices and fragrances. 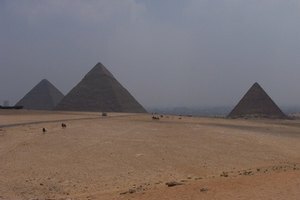 Finally, the ancient Egyptians wrapped the corpse in layers of linen coated in resin. This produced the bandaged look associated with mummies and completed the mummification process. 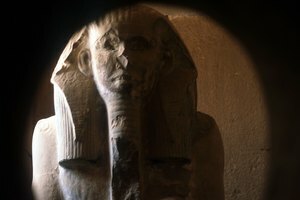 Who Performed Mummification in Ancient Egypt? DanielC. "Tools Used in Mummification." 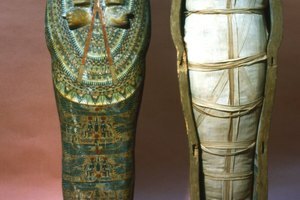 Synonym, https://classroom.synonym.com/tools-used-in-mummification-12082500.html. 25 June 2018.